It is interesting to wonder about the use of what we generally inappropriately call “master class” and that I would rather call here “public class”. Indeed, this style of pedagogy has developed in the last twenty years. The media let us “see” and hear high-level pedagogy; first-line conductors and pianists, including Glen Gould, Bernstein, Boulez and closer to us Lévinas, Aimard, etc., have given classes, conferences in public, on the radio, have participated in videos, DVDs and other media. The public is more and more often invited to “pre concerts”, public final rehearsals or to reading concerts that show music “in the course of production”, like the little breads of a baker who has placed an oven in his shop… It is an act of introduction to “cooking”! Theme events: it is the case nowadays! Our instrument gives rise to numerous regional or national events; such as recently the meetings of the CDMC about new instruments and their repertoires. Opening up to Europe : Erasmus exchange programmes for teachers and students between higher education music institutions, for example. Pedagogy exams in order to obtain a degree and then a job; remember that the C.A. is less than 30 years old; the idea itself that in order to teach music you must acquire pedagogical competence is recent. And finally, isn’t the pedagogy exam like a kind of public class? The increased mobility of teachers has favoured a better acquaintance among teachers, which generates exchanges, as well as occasions to organise public classes. 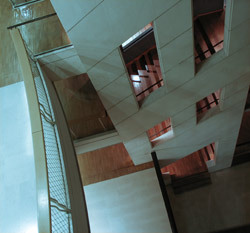 Some centres institutionalise the public class as a permanent pedagogical base: professors from the institution or occasional guests, even invited orchestra soloists or concert performers with a regular schedule for the year. Is a public class necessarily a master class? May it take the colour of a reading concert, a conference with musical examples ? Should we first see what the ingredients of a public class are ? In the first idea of the “master class”, the pedagogical level of the “master” does not seem to be the first worry; but rather the mastery of his art, even his charisma. The regular professor has a real sense of the school course, of the student’s developing psychology. The occasional “master” steps in at a given moment, usually in a privileged setting due to its size, acoustic sound, etc, with exceptional information: it is an event comparable to a concert. He gives subjective advice that may have a long-term incidence, but he does not control (or very rarely) the result of the advice given. The so-called master shows thus extreme vigilance concerning the advice that may be applied to the letter without any ulterior control. If the pupil is not a professional or not mature enough, it is thus advisable for the “regular” professor to attend the public class to ensure the follow-up and avoid any excess. The master is expected to show some logic between his artist behaviour on stage and the tools he gives. We may try to gather his “recipes”, but the student will draw a greater profit if the master is at the pupil’s level. does the pupil then become a guinea pig? should he talk to the audience or not ? is it a conference illustrated with a class? or is it a “normal” class with an audience, a “non-existent” silent audience? It is a vital element for the success of the relationship. Too short (15‘), the relationship is too superficial; it is finished before you canget rid of the nerves. Too long (+ than 45′); tiredness reaches every one; this is certainly different for long pieces of the piano repertoire. Depending on the level and the energy of each person, the ideal length may be found between 20 and 40 minutes. In any case, the total duration of the public class must be between 2 and 3 hours (with a break). The presence of the audience changes the awareness of time. If the pupil has not learned anything, on his side, the professor will have acquired experience! he learns to choose a clear direction, to make choices, for he cannot say everything. Accepting pedagogy as the art of the stage ??? becomes aware that the piece played is the result of long work; this class is an outcome and another piece will probably be on this student’s music stand the day after: he thus learns to develop in-depth advice, to stimulate culture, the spirit of analysis, the basic instrumental aspects, the quest for the required energy for the art of the stage. It might be a unique opportunity to discover the thread between instrumental mastery, psychology (the well-known nerves), culture and inner attitude. Life, rhythm, confidence, creating contact with the audience; like in a concert, it is the moment for sharing one’s strong points and one’s calm points. To give a performance while remaining real. On stage there is no theory, there is only room for practice: “just do it”.